Chemists from Northwestern University have developed a powerful new material that could have major benefits for electric vehicles. Currently, electric vehicles rely heavily on a complicated system of batteries and supercapacitors that allow them to operate and increases the energy they have access to, allowing them to operate for longer periods of time. The new material developed by chemists combines the quality of supercapacitors and batteries. As such, the material can be used to replace the complex systems used by electric vehicles, eventually. According to chemists, the new material allows for large amounts of energy storage, similar to a battery system. It also allows for this energy to be discharged rapidly. The material is comprised of a stiff and durable polymer, which is also very porous. It is very conductive, holding significant promise for the future of clean vehicles. The research team devised a prototype device to test the capabilities. During tests, the material proved to be extremely stable, completing 10,000 charge/recharge cycles. Testing the material also allowed researchers to gain a better understanding of its capabilities, as well as the capabilities of similar materials. When it comes to electric vehicles, charging has long been an issue. While these vehicles are environmentally friendly, they have a very limited range of operation and it can take several hours to fully charge. 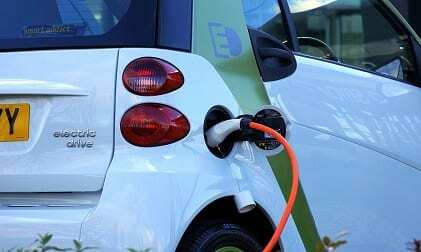 This has made electric vehicles somewhat unpopular among consumers, but it has presented researchers with opportunities to develop new materials and technologies that can be used to improve clean transportation. Chemists believe that their new material will benefit electric vehicles in the long run. Clean transportation has been growing rapidly in recent years. This is partly due to government policies requiring automakers to produce electric vehicles more quickly. These policies aim to reduce harmful emissions and make transportation more environmentally friendly. As the need for clean vehicles grows, so too does the need for new technology that can make these vehicles more attractive to consumers.